CVC 2014 is a Success! 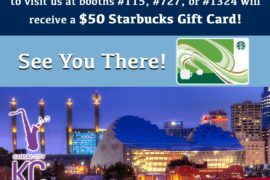 We had a blast in Kansas City attending the 2014 CVC! The exhibit hall was buzzing all weekend long and we hope you and your clinic members had a great time exploring all there was to see! 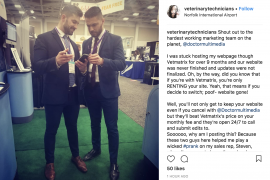 Between the continuing education, the exhibitor’s booths, and enjoying the city, we know there’s a lot of ground to cover and just a short amount of time to do it. We completely understand if you didn’t get a chance to stop in and say hello, or if you missed our booth. So we want to invite you to contact us at 1-800-605-6987 if there’s any way in which you need help with your clinic’s web or marketing needs. 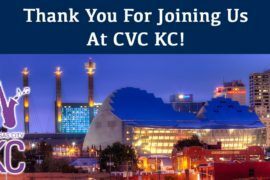 Thanks again for attending the 2014 CVC in Kansas City. We hope you enjoyed yourself, and we look forward to seeing you at the next conference!